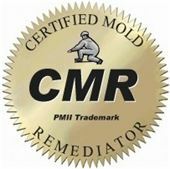 Lifetime Guaranteed Mold Removal. Non-Toxic Service. Serving the Carbondale, Marion & Southern Illinois Area. Now offering the latest technology in radon and asbestos testing. 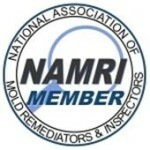 GPS is certified to remediate mold in residential and commercial dwellings and offers non-toxic mold remediation. 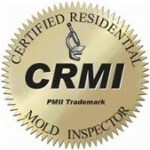 GPS offers mold proofing and prevention services. Call for a certified mold inspection of your crawl space or attic. GPS uses boro-scoping technology to look inside inaccessible areas such as walls and ceilings. Inner-wall air testing is also available. We install 12 or 20 mil reinforced seamless anti-microbial moisture barrier exceeding Ameren's specifications. GPS uses an accredited laboratory for any and all tests requiring study. Tests include: Air testing, bulk samples, asbestos, lead, humidity, moisture. We will install the proper downspout attachments to your current gutter system and bury it underground to keep the gutters from draining into your property. Many properties in the area have improper sloping which can lead to foundation cracking. GPS will professionally grade the perimeter around your property to ward away water. Liquid-free non-abrasive duct-cleaning system. GPS will physically hepa clean each one of your registers and returns and sanitize them with ozone. Hydroxyl treatments also offered. High-ozone shock treatment combined with HEPA and Carbon filtration can rid dwellings of unwanted and harmful smells. Now offered in a more compact and quiet design! For flooded basements and crawl spaces GPS offers emergency water pumping and dehumidifying services. We use infrared technology to measure temperature in hard to reach areas such as crawl spaces, attics, and chimneys. Includes moisture barrier, lifetime mold treatment, and ventilation fan installation. For log cabins or wooded dwellings soda blasting is a superior stain removal method when comparing cost and safety. Exterior building surfaces can be restored to a nearly-new finish. We offer chemical and non-chemical pressure washing services for buildings, basements, tanks, and railroad cars. 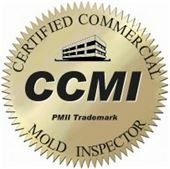 Guaranteed Property Solutions is your local certified mold inspection and remediation specialists offering affordable non-toxic mold removal and prevention. We proudly serve the Carbondale, Marion, and Southern Illinois area. Our experience will get your family up to today's healthy living standards. We go the extra mile!